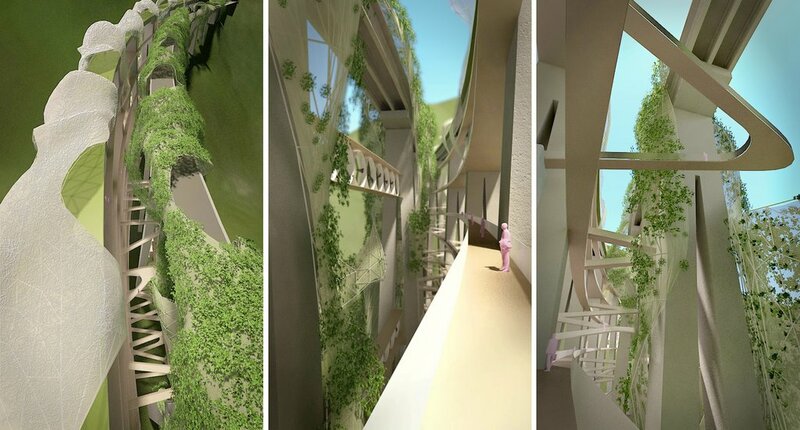 1- Tunnels dedicated to the wind mill power generation and to research showcase, are connected to the similar installations integrated in the platforms supported by viaducts. Experimental solar light devices made of optic fibres mesh fabric will illuminate their interior spaces. 2- Reuse the N-S carriage with an added value of piezoelectric energy floor, integrated under circulation area of the existing viaduct sections. 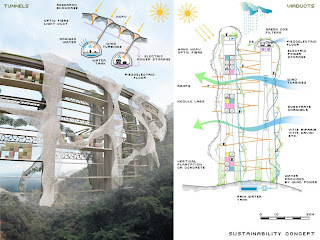 3- With the aim of harmonizing the carriage sections carved in the sloped part of the site we propose to cover them partially with the CO² green filters and on the exposed to the sun shining sections, to cover them with the optic fibre HCPV screen. 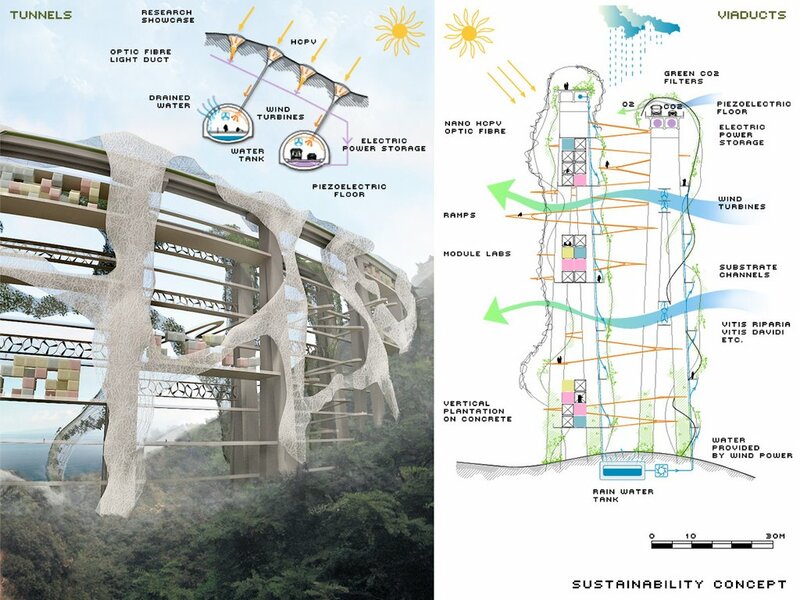 4- Wrap the viaduct structure and created labs platforms exposed to the sun, with optic fibre HCPV screen for electric power generation, and in some other parts with greenery screen to mitigate the solar heating effect.